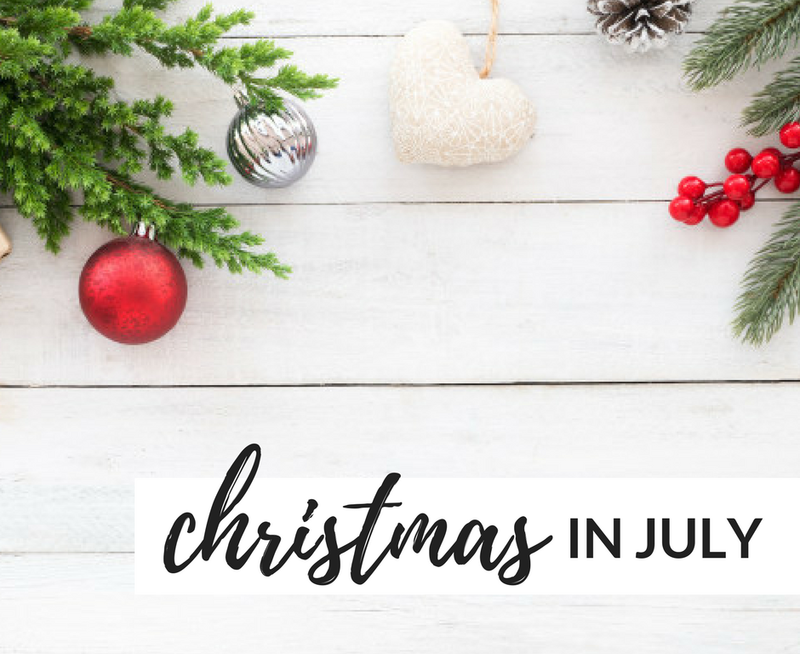 It's a new trend that has recently started and I could not be more excited to celebrate Christmas in July this year! I heard about AR Workshop hosting this event last year and I wanted to make it to this class more than anything! I did not have anyone that wanted to partake in the fun with me! This year I am going all out and totally celebrating and having fun! These are my favorite finds or ideas to make the most of this "holiday" this July!! 1. AR Workshop hosts a Christmas in July workshop on the 24th and 25th. If you haven't been to or even heard of AR you have to check it out. It's a DIY home decor workshop that has a great selection of projects to choose from. During the Christmas in July workshop, there will be 12 new Christmas and holiday designs you can chose from. The workshop is available July 24th and July 25th. Christmas music and cookies will fill the air. Be sure to register at a location near you, as spots will sell out! 2. All the amazing deals to shop! Many retailers are recognizing Black Friday and Cyber Monday in July! This is a recent and new trend that is really starting to take off. Amazon Prime day is always a HUGE day for great finds! The Nordstrom Anniversary Sale has to be my absolute favorite time to shop! Be sure to check all of your favorite retailers for sales and deals happening in store and online right now! You can start marking items off your Christmas list in JULY! Share your best find in the comments!!! 3. Throw a Christmas party! If you have been to a craft store this week you have already seen Christmas decor on the shelves. You wonder why in the world would I be buying Christmas decorations when it's still summer?! Well... Now you know!! You can decorate for an awesome get together or party with friends. This is even a great opportunity to have a small gift exchange to stay in the spirit of Christmas. Be sure to compile a playlist of your favorite holiday tunes. Of course check Pinterest for all the latest and best ideas for tips on what to serve, what kind of theme you want and even party games to play! 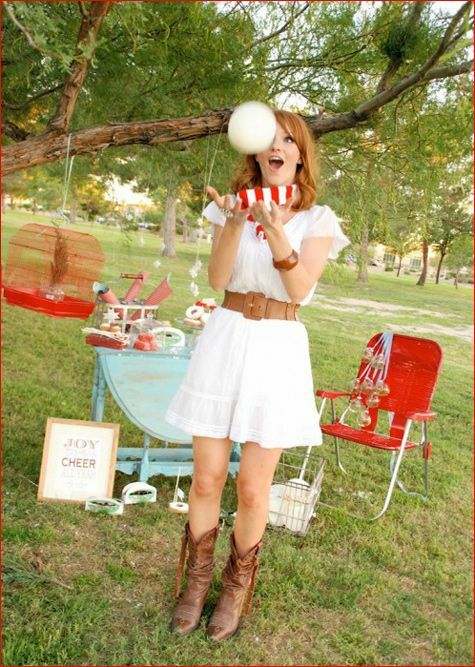 This blogger Hostess with the Mostest has incredible ideas on how to throw the BEST party of the season! She has been an inspiration for so many parties because she really knows how to put on and throw and INCREDIBLE PARTYYYYY!!!! 4. 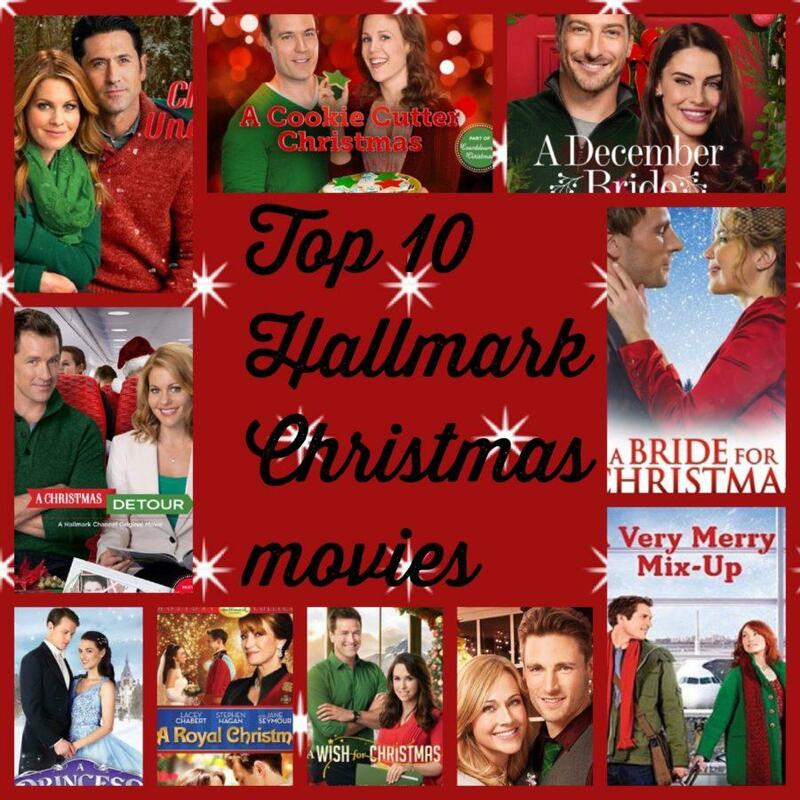 Christmas movie marathon on the Hallmark channel! They even have a schedule of the movie line up from July 13-July 28th. Do you really get into the holiday spirit when watching holiday movies? I don't care what the weather is outside, I can curl up on the couch with hot chocolate, a blanket and watch Christmas movie marathon! Hallmark will be introducing 34 new Christmas movies this year, and I could not be more excited to see what other movies I can fall in love with. 5. There are unique events all over the country. Google your area and see what events are happening in your area. Southwest Airlines is hosting their 25th anniversary event of Parade of Lights. There are Christmas in July races, festivals, and so much more. If you are ready to get into the holiday spirit enjoy celebrating the 6 month mark until Christmas is really here!!! !